Hi, you don’t have an idea for a gift for your beloved person for Valentine’s Day? It will show you a beautiful and easy pattern that you can crochet. 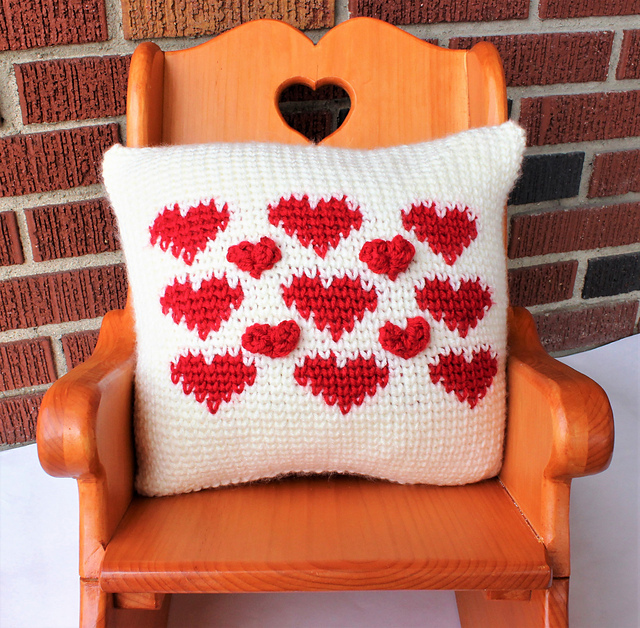 This is a cushion with heart motifs. This is a beautiful gift. Valentine’s Day is the coolest time for lovers. Not without reason for this day we are looking for perfect gifts. This pillow is a great gift. This pillow is very cosy and gentle to the touch. The pillow is double-sided. It has a different heart motif on each side. It is made in two romantic colours. It is a free pattern. 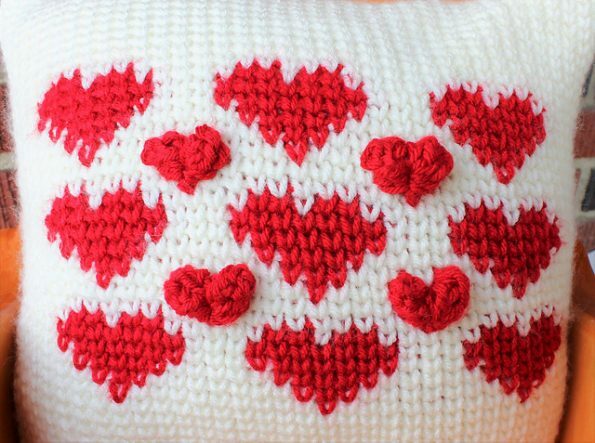 Heart Pillow Free Crochet Pattern is here.